Delighted! 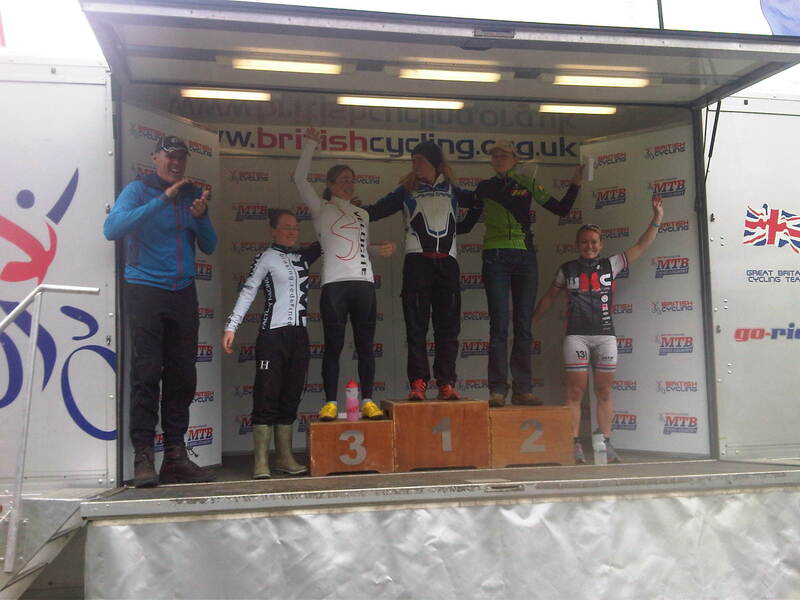 My first National Points Series win and on a typically Scottish course. There was rain and there were midges all clamouring to add to the ambience of what will be pipped as the most technically demanding of rounds to date. The flowing hard packed single track that Kirroughtree is famous for was largely abandoned to steep natural climbs and descents. These became fun (if you stayed on) or just stupid (if you fell off) after the Met Office amber flood warning of torrential rain. At 9.30am with the gun due at any moment I still felt half asleep but Maxine Filby’s Word Cup style start soon woke me up and I hung onto her wheel hoping it wouldn’t last! Thankfully it did not and I was able to squeeze ahead before the first single track and start putting time into the others. There was a lot of running. More than was polite I thought but by riding hard on the fire road climbs and relaxing to get down the mudslides in one piece I slowly increased my lead. Coming through the transition my energy was renewed each time by all the Scottish support and my friend Lesley Ingram playing at being commentator on the microphone. I had to work hard on a very physical course today against some very good competition so I am happy to come away with the win. Now I am racing back up the A74 to Glasgow where I have the afternoon to wash my lycra and give some love to Celia the Lapierre, who is looking a bit sorry for herself just now, before flying to the USA tomorrow at 7am (not sure who thought that was a good idea. If it was me then I am an idiot). So. Watch this space for more blog type action over the next 2 weeks while Maxine and I race the American and Canadian World Cups. And eat twinkies while driving our enormous Recreational Vehicle called a Roadbear. Yes really. It’s going to be fun!